The GP Superclinic @ Midland Railway Workshops prides themselves on being a centre for excellence in training. Partnering with other educational bodies and tertiary institutions, the GP Superclinic assists trainees and students with their educational pathways through the provision of an environment conducive to multi disciplinary, team based, best practice service delivery and learning. Situated in a state of the art facility, the clinic provides an extensive assortment of clinical presentations across a wide cross-section of age groups and the unique opportunity to work in a truly comprehensive team based, collegiate environment with General Practitioners, Specialists, Nursing and Allied Health Professionals working shoulder to shoulder to improve patient outcomes. Interested in joining the GP Superclinic team? Submit your resume here. 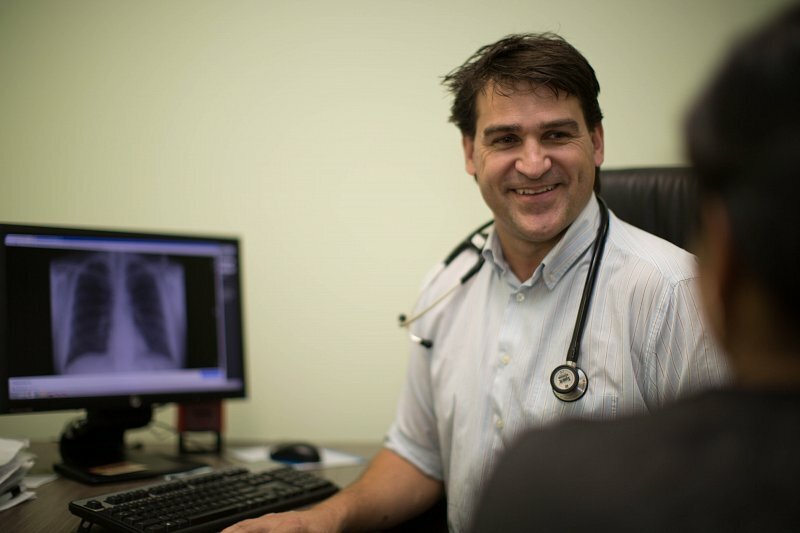 "It has been a great experience working as a GP Registrar at the Superclinic . The staff are supportive and helpful and the facilities are excellent. I have benefited from the shared wisdom of the other Doctors here who practice Medicine to a very high standard, as well as the excellent formal education program. It has been a pleasure to get to know and care for the wonderful patients who live and work in the area." We are always looking for keen and talented GP Registrars to join our organisation and complete their placements that are advanced onwards. We are a Group Medical Organisation with a proud history and tradition of teaching and training GP registrars and medical students in our Group that goes back 20 years! Specialists onsite (including Cardiology, Obstetrics and Gynecology, Opthalmology, Endocrinology, to name a few) and Allied Health (including vocational rehabilitation provider, psychology, dietician, physiotherapy, etc) involved inteaching. We believe strongly in work/life balance for our entire team and recognise that the time you spend in GP training is quite often a period of transformation in your professional and personal lives. We have a proven track record in providing excellent educational opportunities for Registrars and in supporting Registrars who may be going through challenging times. The company hosts both formal and informal social activities during the year and you will be encouraged to integrate with the team and with other registrars across our sites. If you are seeking a placement, using the section below submit your resume to us, it will be assessed and an interview booked to meet you in person. Please ensure you provide all necessary documentation. Students do their clinical placements in diverse environments in pre-hospital emergency, hospital and community settings, preparing them for the developing role of paramedics in emergency, industrial and community related healthcare. The GP Superclinic @ Midland Railway Workshops is proud to partner with Edith Cowan University in this process. In 2016 the GP Superclinic @ Midland Railway Workshops is proud to announce that we have begun partnering with Edith Cowan University to place nursing students at our facilities, affording them valuable learning experiences and the coal face of the health industry. If you are interested in joining the GP Superclinic team, please use this form to submit your resume.